This is a massive tome on gambling, the largest one at that time, describing gambling locations, games, scams, fraud and how they are operated, as well as many personal stories from the author. 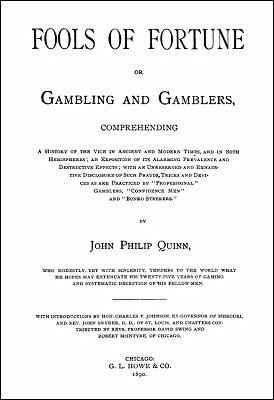 Makes for fascinating reading if you are interested in the subject of gambling in the 19th century. 1st edition 1890, 640 pages; PDF 532 pages.